Did you know you can search Twitter a similar way as you search on Google? Did you know using hashtags on Twitter when you tweet can help your tweet show up in Twitter searches? Hashtags are also very powerful tools for connecting and building a network on Twitter. What Are Hashtags On Twitter? Hashtags are keywords or phrases that begin with the hashtag symbol (#). Hashtags are used to categorize tweets. On Twitter, when you click on a word or phrase with the hashtag symbol before it, you will be taken to a page with a list of tweets that contain that same hashtagged word or phrase. If you use a hashtag in one of your tweets, someone who doesn’t know you but is interested in that topic can see your hashtagged tweet. It’s a great way to generate more interest in what you post and more awareness for you and your business. Hashtags create a wonderful opportunity to build a network. Twitter allows you to search for millions of different topics, so you can look up hashtags specific to your work and interests. And Twitter shows you all of the tweets pertaining to the hashtag, not just the tweets of those you’re following. This way, you can get into conversations, follow, RT, or favourite tweets from people you don’t even know yet. What a great way to meet and get exposed to more people, companies, charities, conversations and events. Learn more with these 5 ways Twitter hashtags help you engage and get noticed. So take advantage of hashtags on Twitter and get searching. You’ll find interesting topics for discussion and new people to interact with. Here’s how to start. Type in the hashtag of the topic you’re searching for information about. If you are not sure there is a hashtag for your topic, start typing and you’ll see the hashtags that are currently used for that topic. In our example, we’ll use #SmallBiz. Here is a screen shot of the most recent tweets with #SmallBiz. 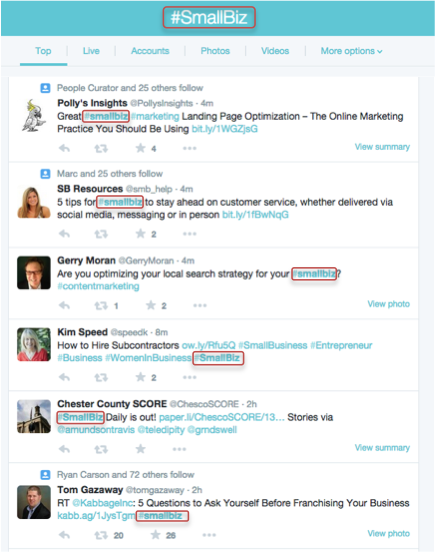 We’ve circled in red the hashtag #smallbiz in each tweet. This is why these tweets were brought up in the search. Creating your own hashtag is also a great way to get your business into the conversations where your customers, clients and colleagues are, as well as potential customers, clients and colleagues. Find some more information on using Twitter hashtags for your business tweets by Stephanie Buck. 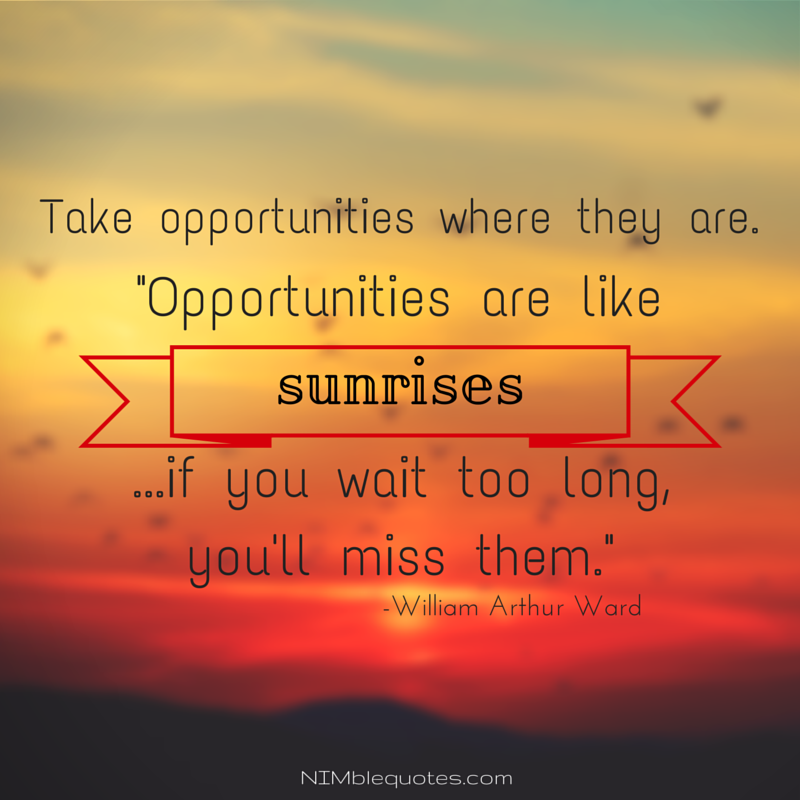 Using quotes is a great way to interact with your Twitter audience. 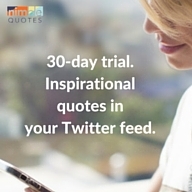 With the Nimble Quotes service, you can try 1-8 inspiring quotes per day automatically tweeted from your Twitter account. You’ll also get the option of adding hashtags to your tweeted quotes, making your tweets even more engaging. Try us out today – we offer a 30-day free trial with no credit card required. Once your trial is over, it costs about $1/day or about $1/week to continue. 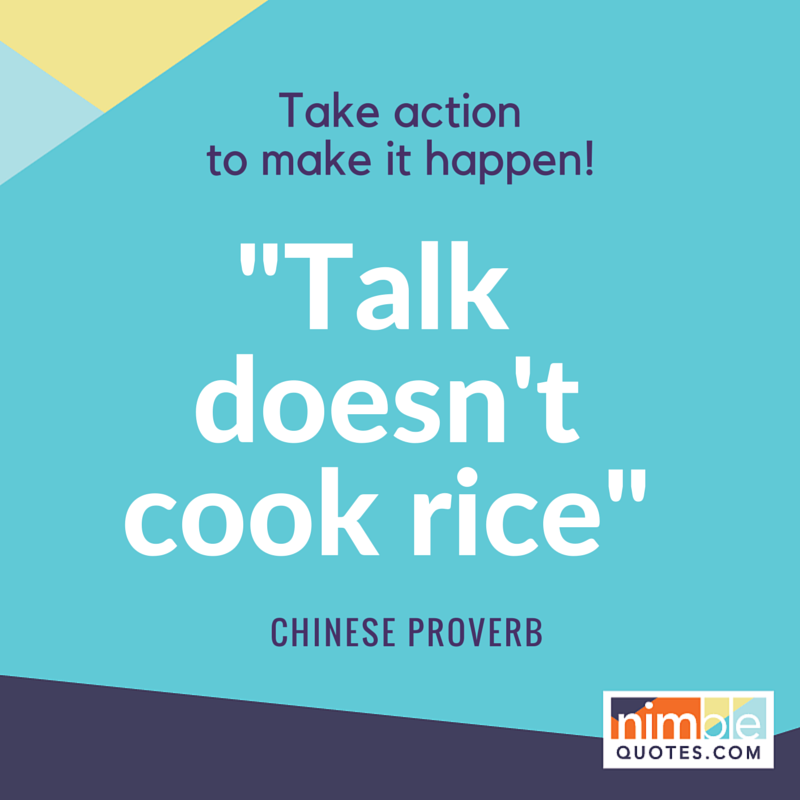 Check out Nimble Quotes in action on @jenkellyjen or @newimarketing. Not ready for a trial just yet? 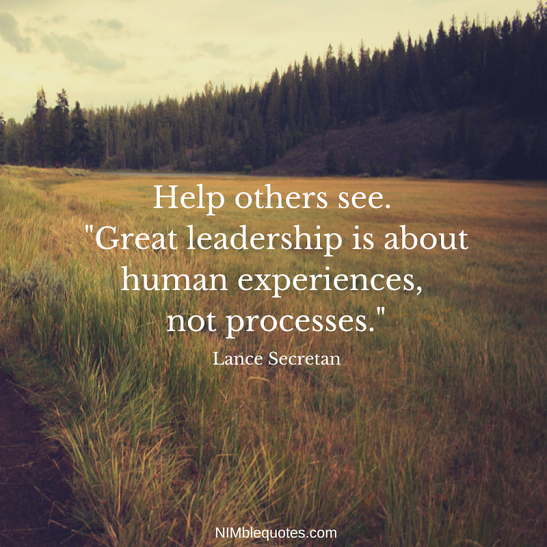 Sign up for the Nimble Quotes newsletter instead. When you send out a tweet, just who sees it? Can anyone see your tweets, or just your followers? Can Anyone See My Tweets? Once you’ve tweeted your update, those who are following you will see it appear in their Home timeline. The Home timeline is the first page seen once someone has signed in to their Twitter account. It’s where you can see all the recent tweets of the accounts that you’re following. Your tweets also appear on your profile page. This is where anyone from the public can view your tweets – if your account is public, then anyone can look up your profile and see what you’ve posted. So people don’t necessarily need to be following you in order to view your tweets. Hashtags are keywords or phrases that begin with the hashtag symbol (#). They are used to categorize tweets. On Twitter, when you click on a word or phrase with the hashtag symbol before it, you will be taken to a page with a list of tweets that contain that same hashtagged word or phrase. Click here for some helpful information from Twitter on using hashtags in your tweets. So, whether you use hashtags or not, many people can see your tweets. But using hashtags will boost your potential audience! The Nimble Quotes service posts famous and industry-related quotes to your Twitter feed as if you’ve tweeted them yourself. We offer a 30-day free trial with no credit card required. You’ll get to try 1-8 thought-provoking quotes per day automatically tweeted from your Twitter account, with the option of adding a variety of hashtags and specific timing for your audience. Once your trial is over, it costs about $1/day or about $1/week to continue. 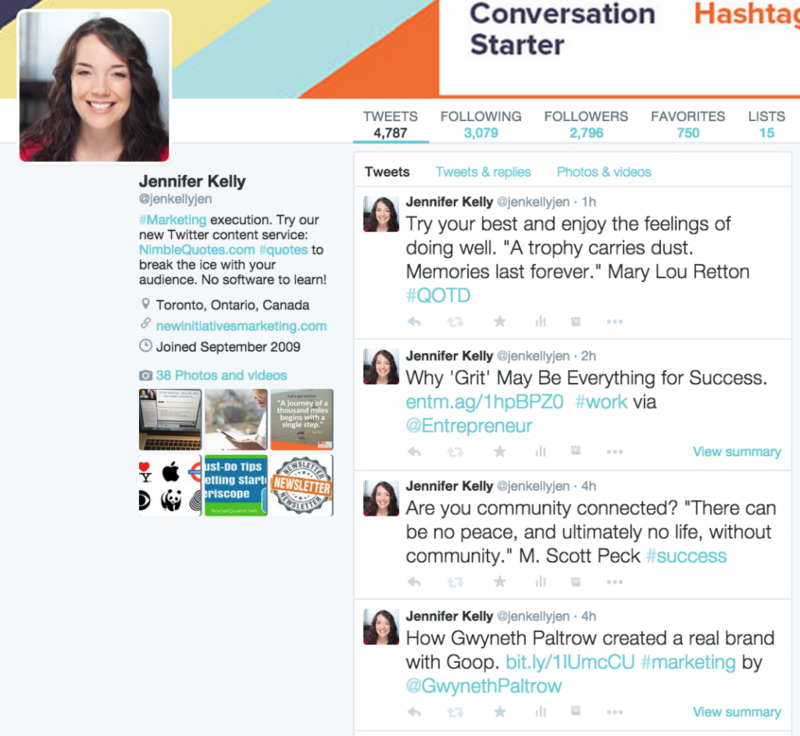 Check out Nimble Quotes in action on @jenkellyjen or @newimarketing. Not ready for a trial just yet? Sign up for our newsletter instead. If you’re on Twitter, then you’ve probably already noticed the hashtags many people put on their tweets (e.g. #FunnyTweets). I’ve already spoken about what they are and the basics of how to use them, but today I’d like to talk about why to use them. Follow events and discussions. 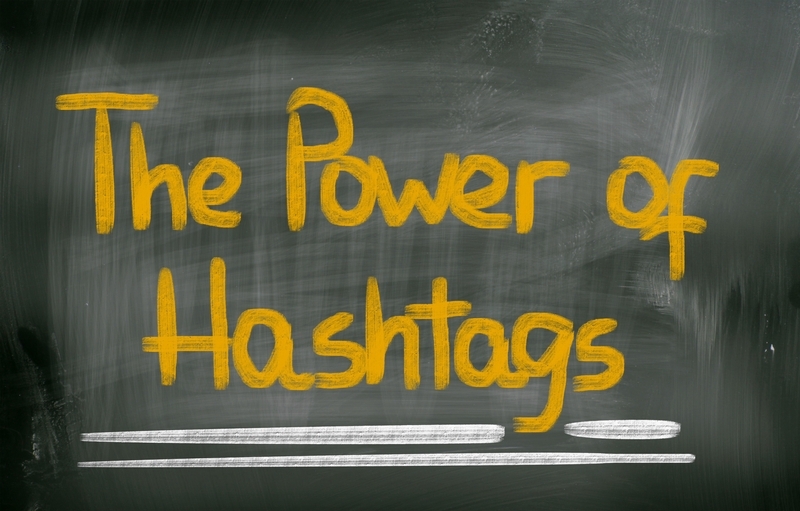 Many people add a hashtag to associate their tweets with a specific topic or event. If they end your tweet with #FIFA2015, for example, other people who follow that hashtag will be able to see the tweet and respond to it. You can take advantage of this by following a hashtag and participating in the discussion. Just remember that your message has to be appropriate to the hashtag and contribute something to the conversation, otherwise people will get annoyed at the obvious marketing ploy! Research. You can using hashtags to get a quick look at what people are saying online about a particular topic. This is great for researching popular trends that you might want to jump in on, or for monitoring fields of interest. You can even create lists of hashtags to follow to keep tabs on new developments. But what about when you’re the one doing the tweeting? How do Twitter hashtags help you get noticed or get better responses? Use with links to drive engagement. If you’ve got a blog or something else to share on Twitter, adding a hashtag to the end of the tweet is the equivalent of putting an ad on TV. It helps spread the link around and get it in front of people who don’t normally follow your Twitter feeds. Just be careful not to overdo it, though! Only use one hashtag per tweet (or two, maximum). Too many hashtags can be very annoying, so restrain yourself! Provide context. It can be very easy to get misinterpreted online, so hashtags are a great way to provide context for your tweets. This is also if you’re quoting someone and relating that quote to a particular theme or topic. Emphasis. Hashtags can also be creatively used to provide additional emphasis to a statement—or as the punchline to a joke (E.g. “Spilled wine #BadFirstDate”). A sharp contrast between the hashtag and the actual tweet can give an entertaining sense of irony. In this case, the hashtags aren’t there to organize or categorize the tweet, but to make the tweet itself more interesting and shareable. So try incorporating a few hashtags based on my suggestions! 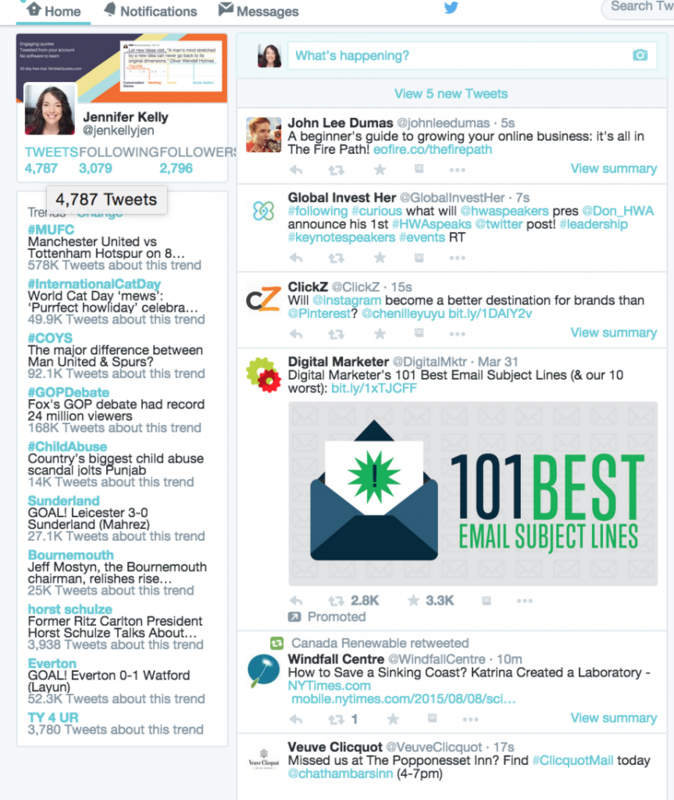 Take a look at how other brands are using tweets, too, and adopt some of their best practices. Pretty soon, you’ll be able to hashtag with the best of them! Nimble Quotes includes default hashtags with each quote category choice, and the option for your own custom hashtags. Learn more and sign up for your 30-day trial.